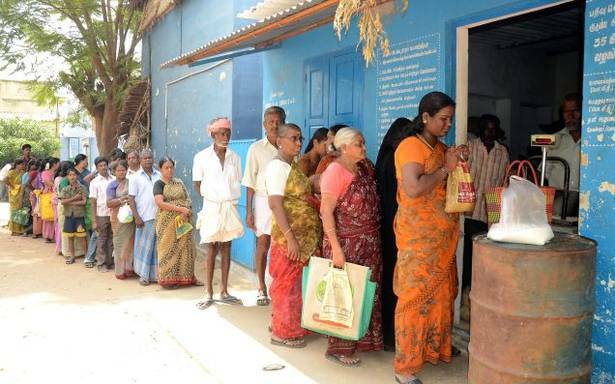 Kanyakumari District Ration Shop has announced its recent recruitment for 96 Salesperson, Packer Posts. Kanyakumari District Ration Shop Salesperson, Packer Jobs. Want to apply for it? Here we have updated information such as process of examinations and interview, eligibility criteria, Offline registration processes, payment of prescribed application fee/intimation charges, Kanyakumari District Ration Shop Result Date. Check below all details. Candidate’s Age Limit Should not exceed (For UR candidates - 30 Years), (For SC / SCA / ST / BC / BCM / MBC / DNC / Destitute Widows of all communities (i.e. including UR) - No Age Limit), (For for Persons with Disabilities (PwD) - 10 years additional relaxation is applicable). Candidates Relaxation in Upper Age limit will be provided as per Govt. Rules. Fee can be paid as Demand Draft in favour of "District Recruitment Bureau Kanyakumari"
payable at "Kanyakumari". Write your name, post name in back side of the demand draft.